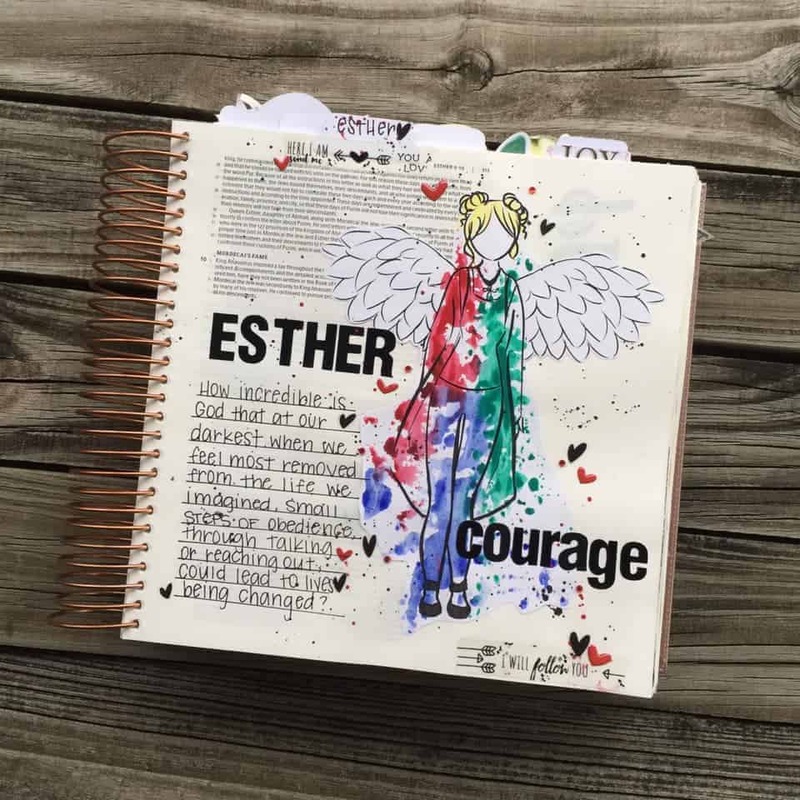 The wonderful thing about Bible Journaling is that there are no rules about what you can or cannot draw or outline. 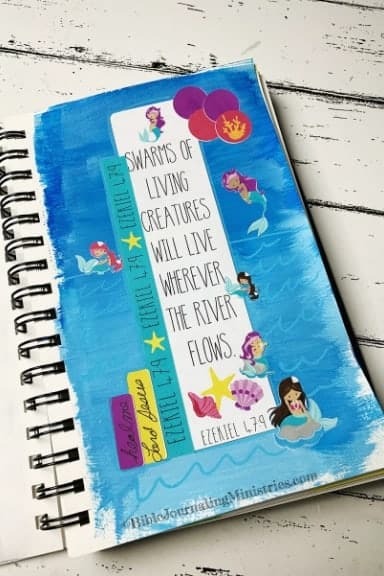 There is something magical about finding a verse that speaks to you and then journaling a piece of art that represents what is on your heart. 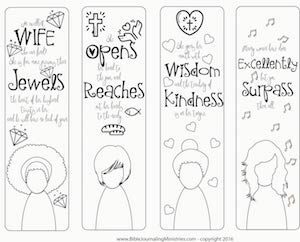 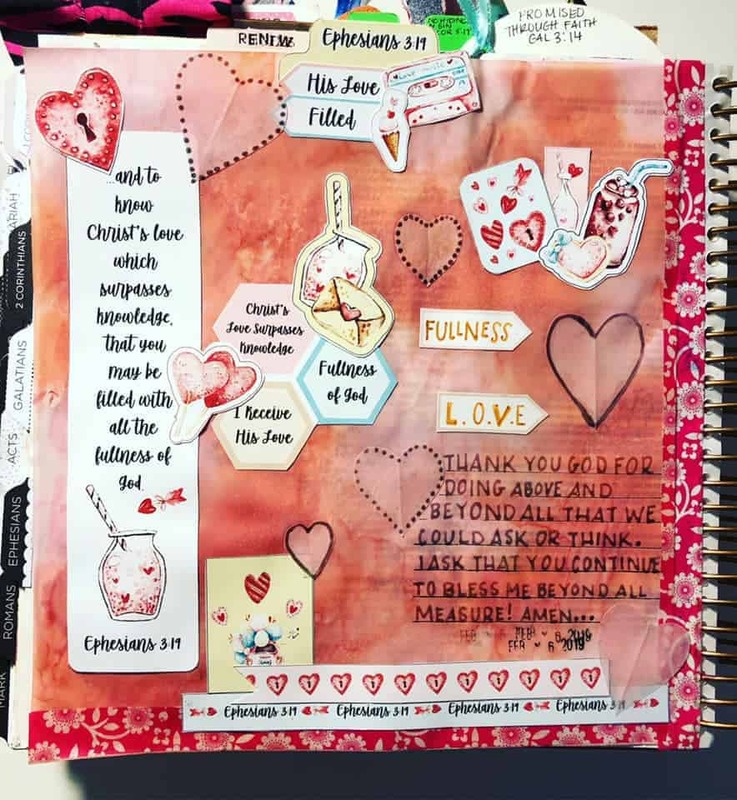 We were able to find some examples that our Creative Faith Crew created that shows what was on their heart when they were journaling. 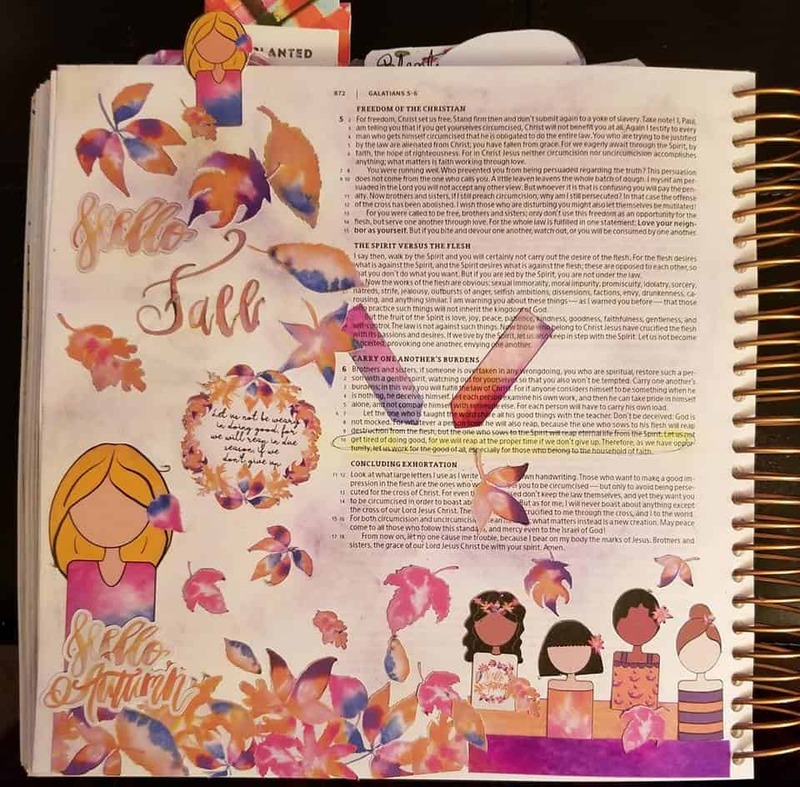 Bible Journaling can also be done to represent seasons or holidays. 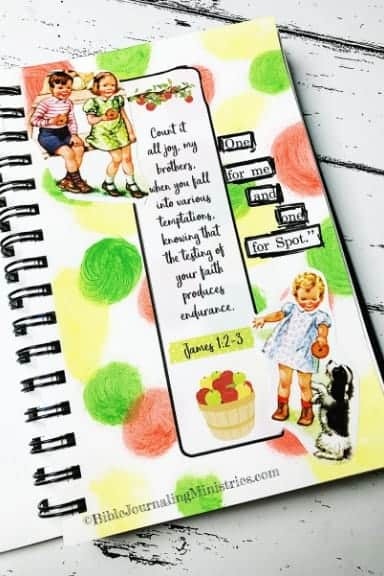 There are some examples below of just that. 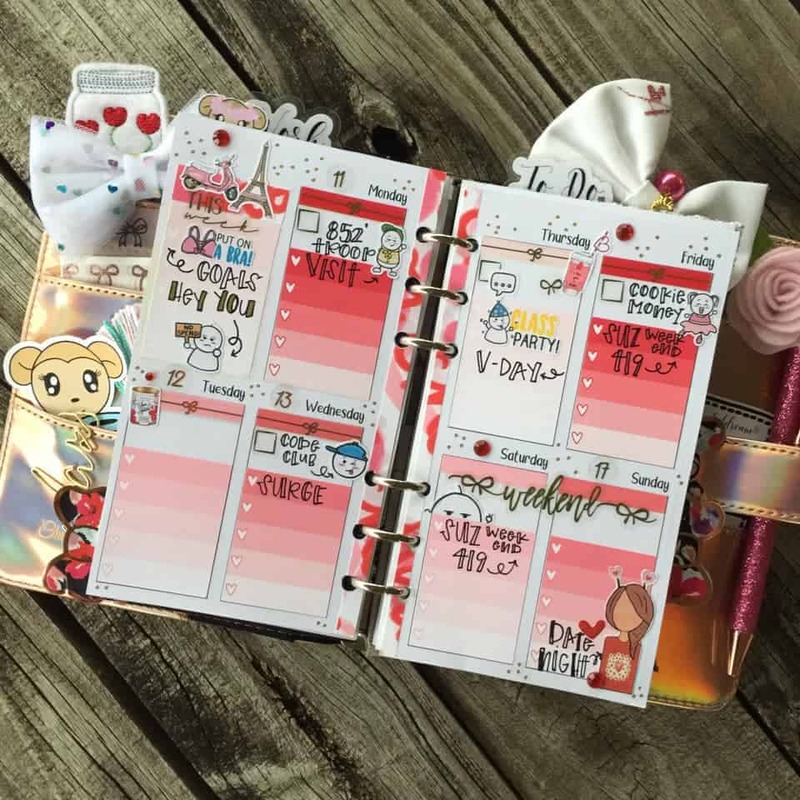 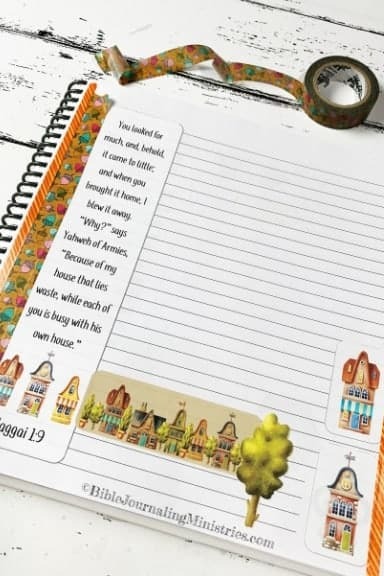 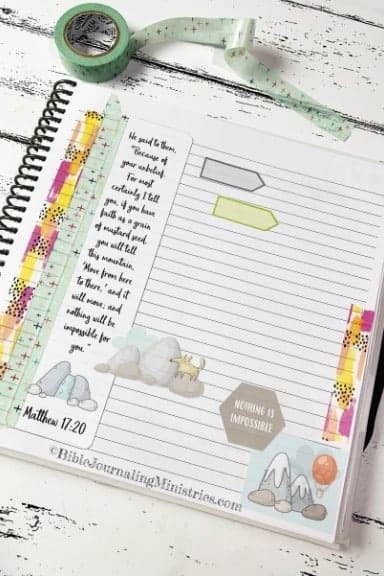 We hope you thoroughly enjoy the journal entries below and look forward to supporting you in your Bible journaling journey. 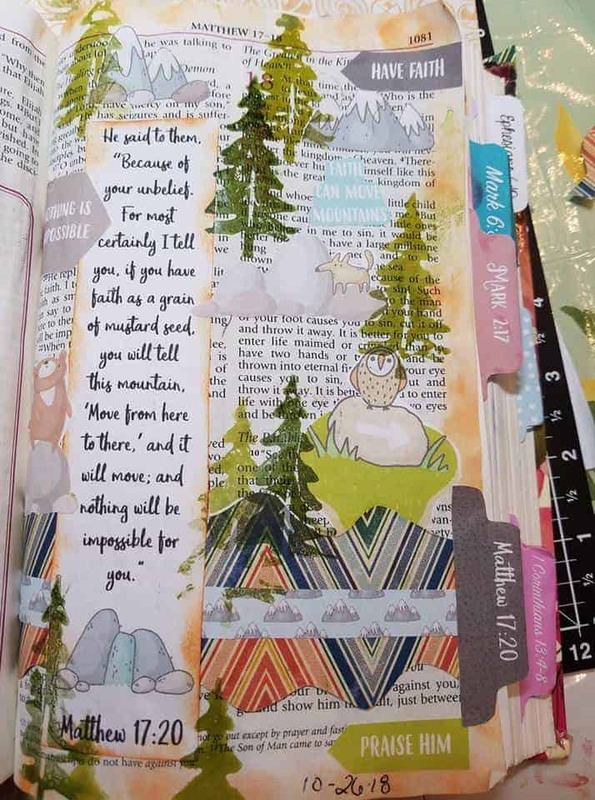 Bible Journaling for the Seasons – Galatians 6:10 Courtesy of Cathy from our Creative Faith Crew. 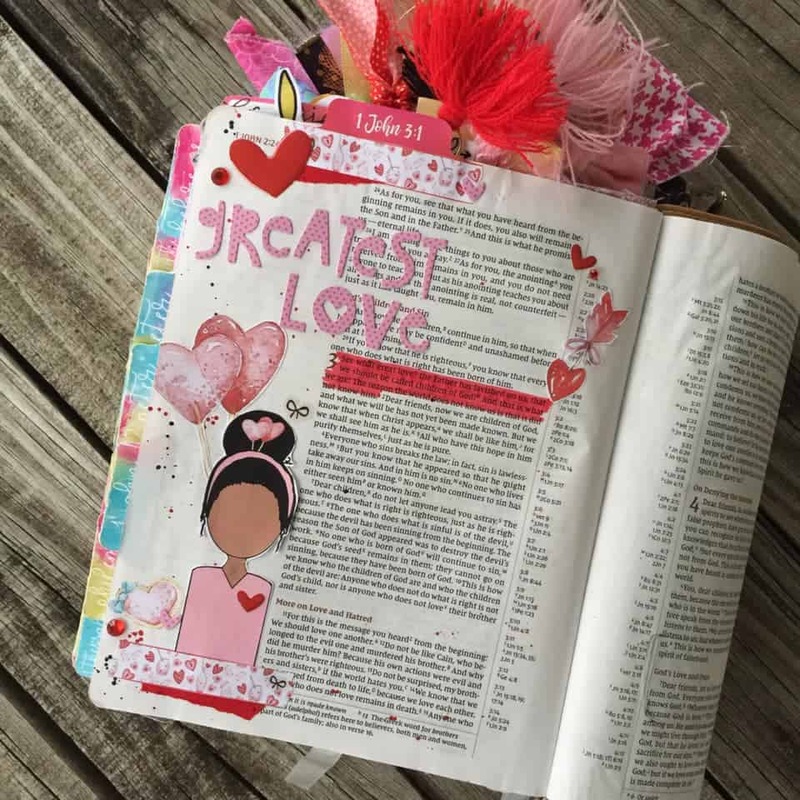 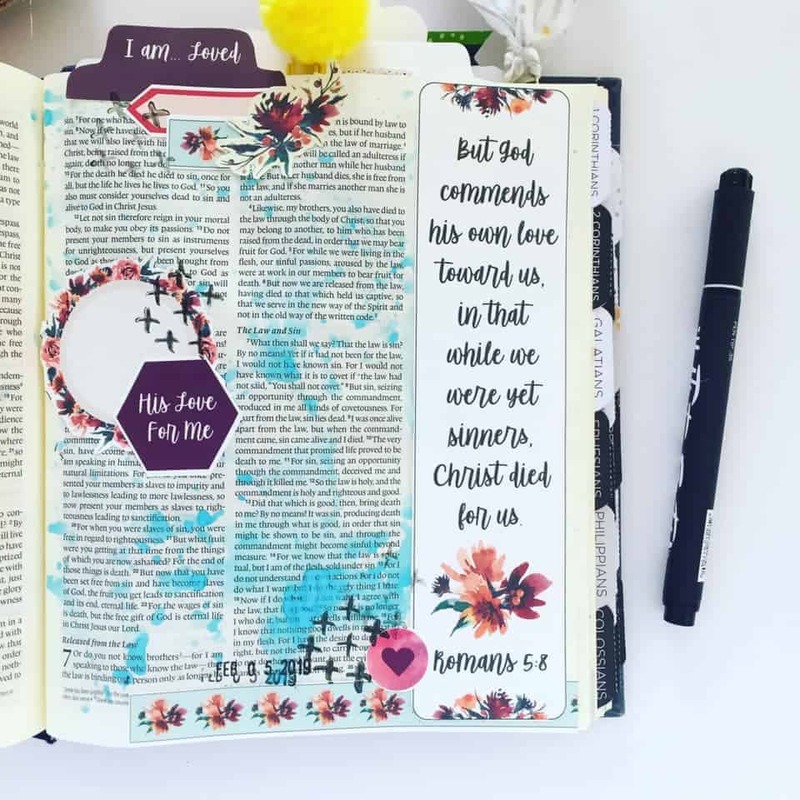 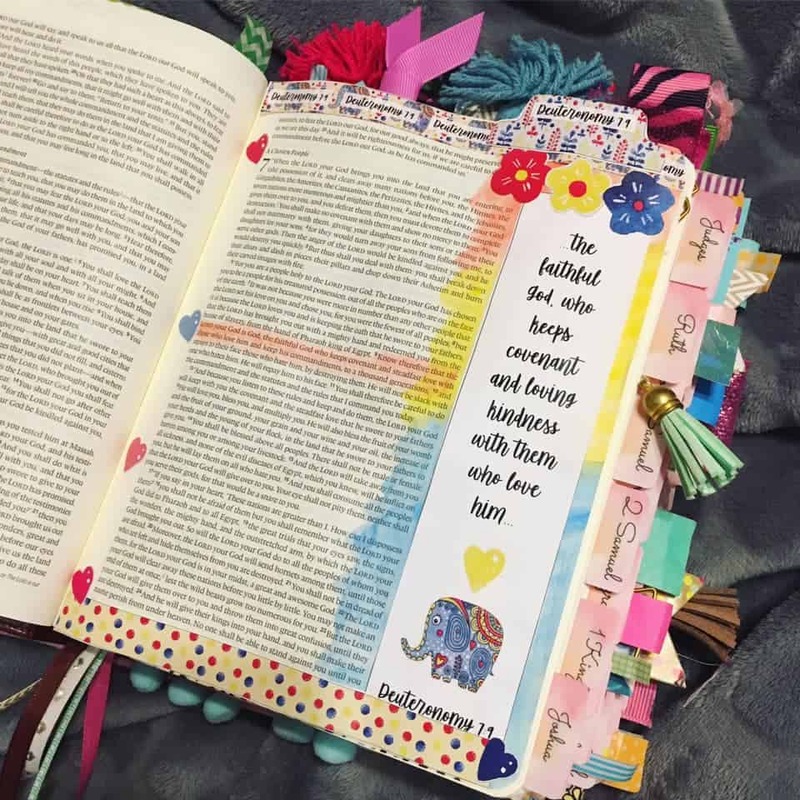 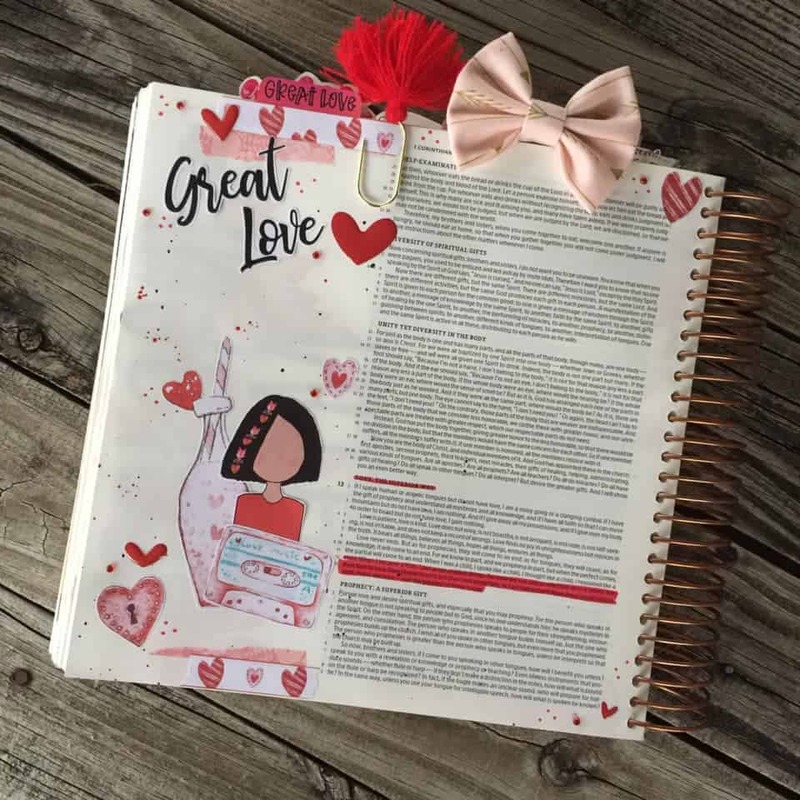 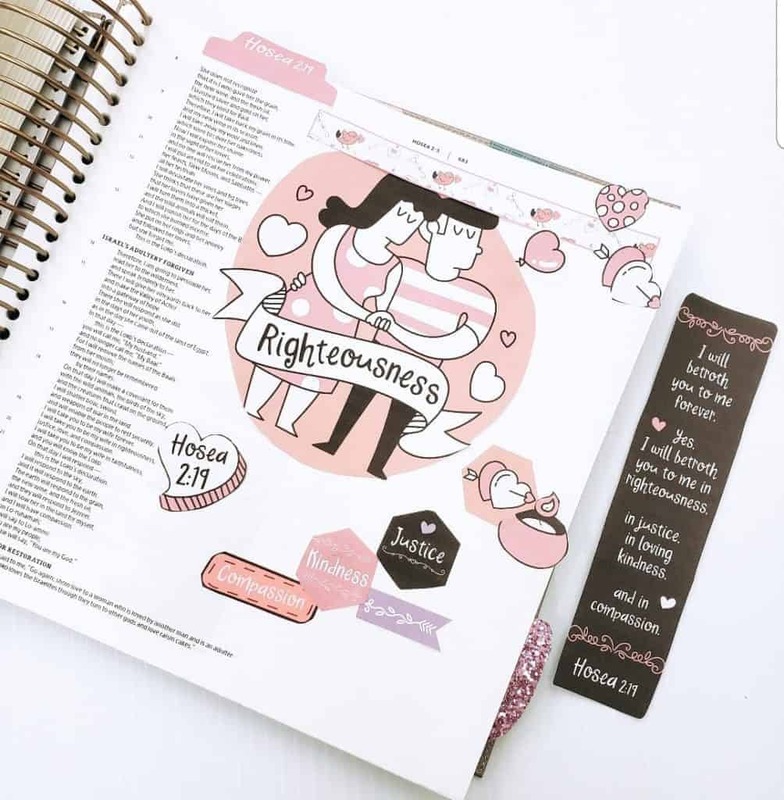 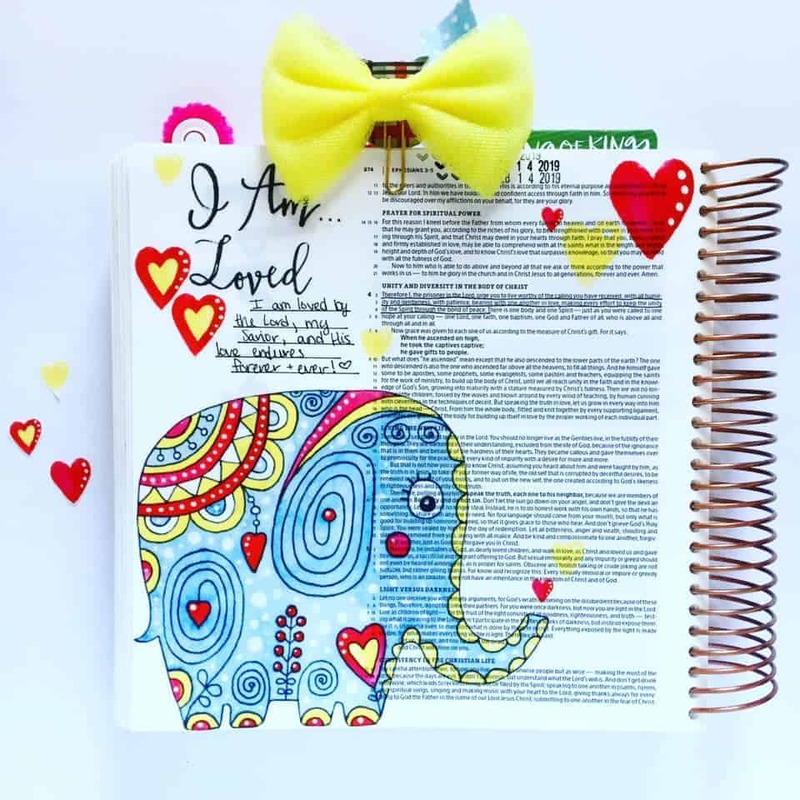 Bible Journaling for the Seasons – 1 John 4:18 Thanks DeJaniera for this post! 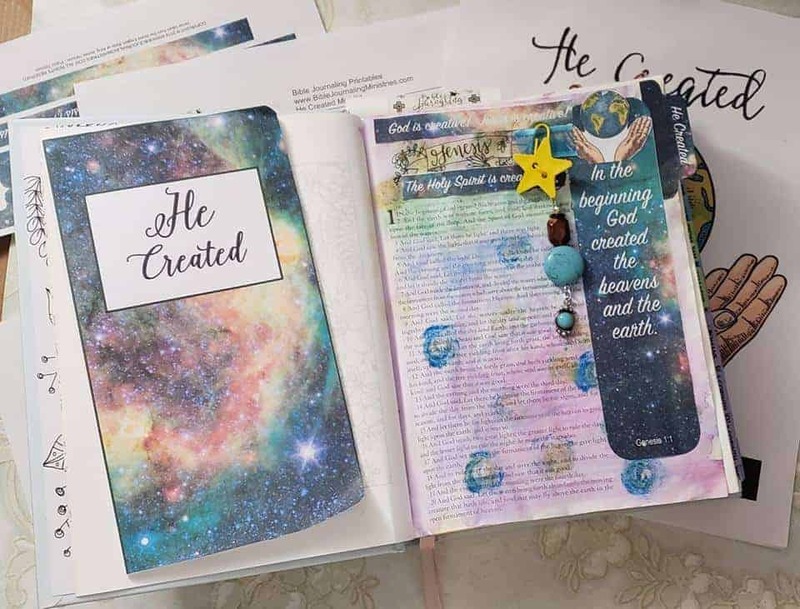 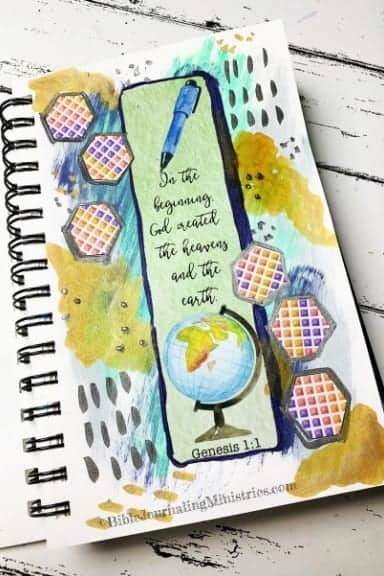 Bible Journaling for the Seasons – Genesis 1:1 Courtesy of Penny for this beautiful entry! 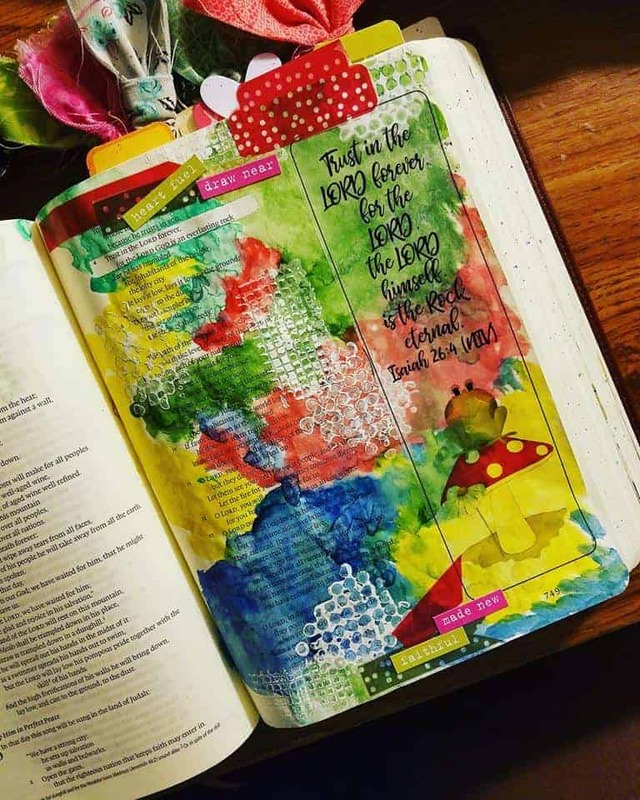 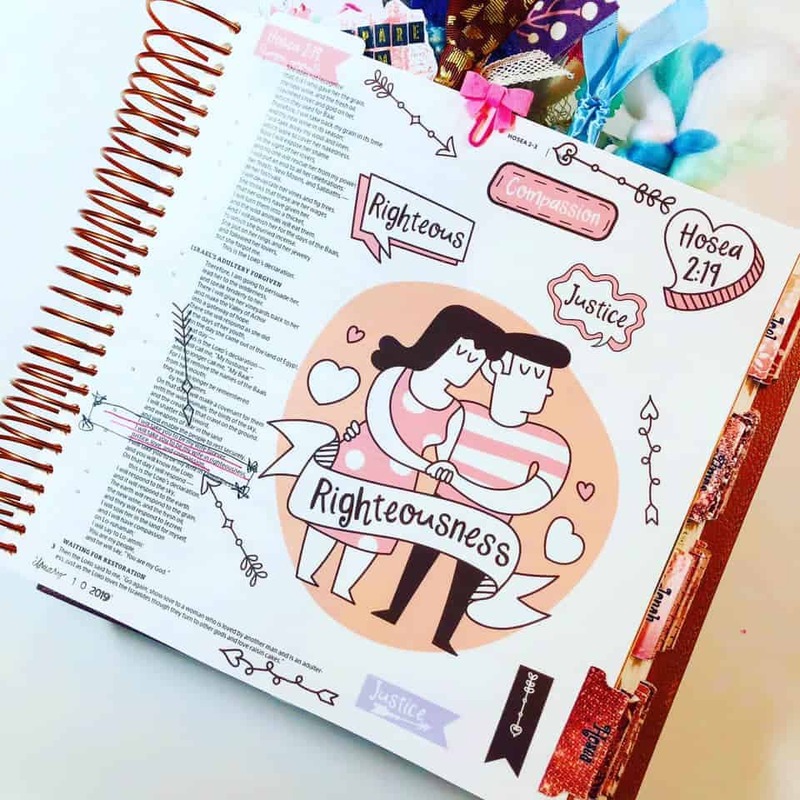 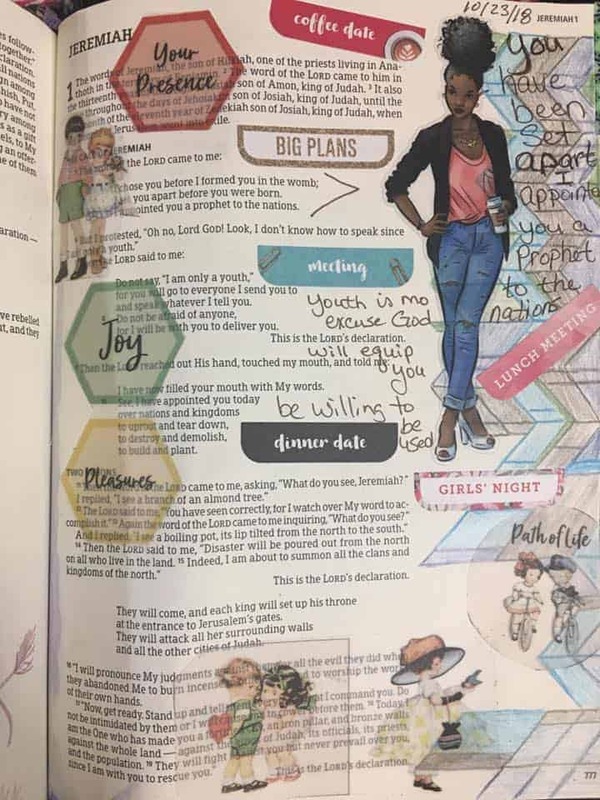 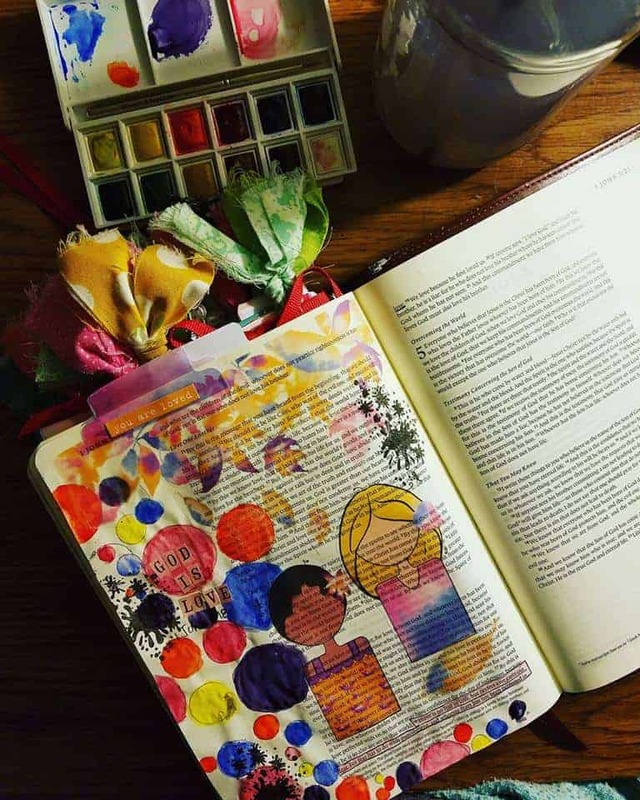 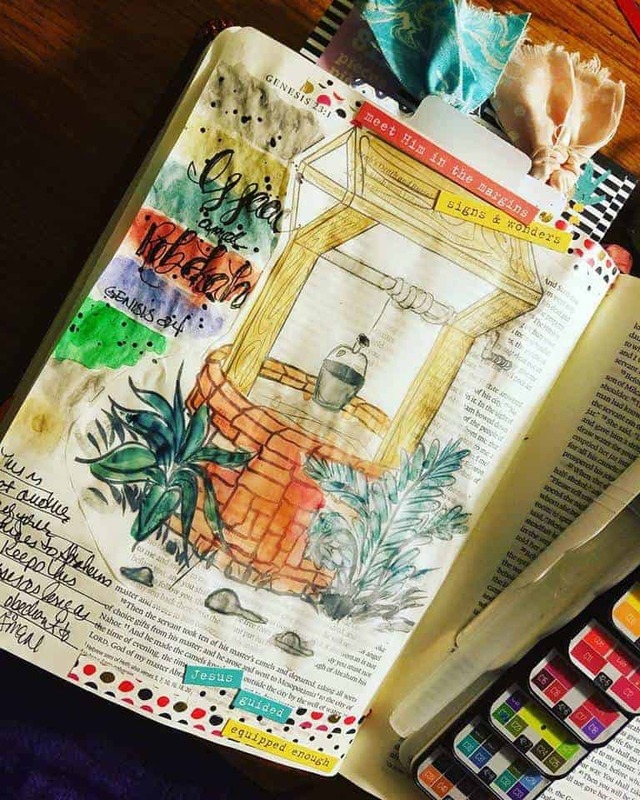 Bible Journaling for the Seasons – Genesis 23:11 Thanks to DeJaniera for this entry! 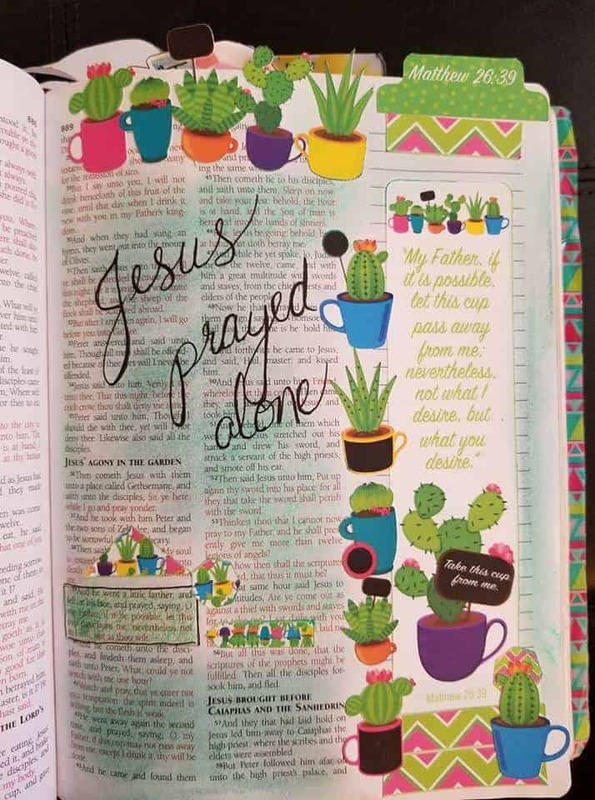 Bible Journaling for the Seasons – Matthew 17:20 Courtesy of Justine for this post. 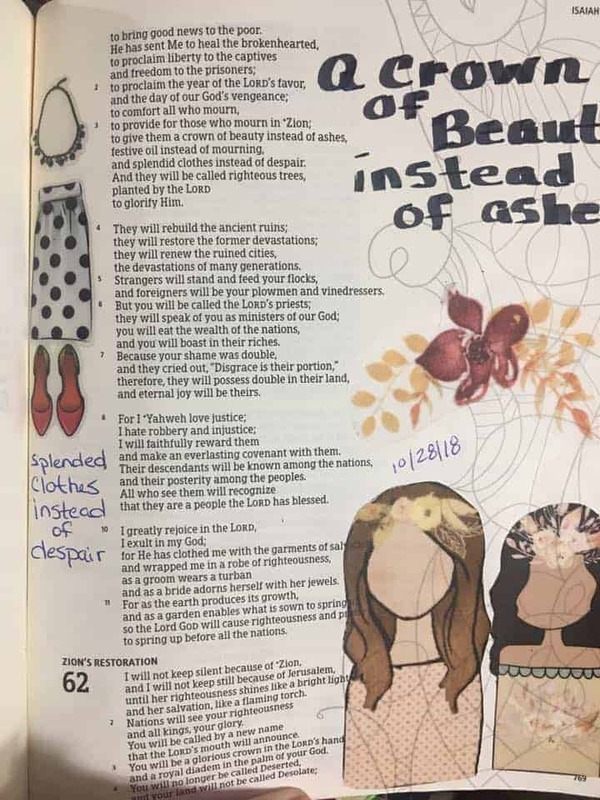 To grant to those who mourn in Zion—to give them a beautiful headdress instead of ashes, the oil of gladness instead of mourning, the garment of praise instead of a faint spirit that they may be called oaks of righteousness, the planting of the Lord, that he may be glorified. 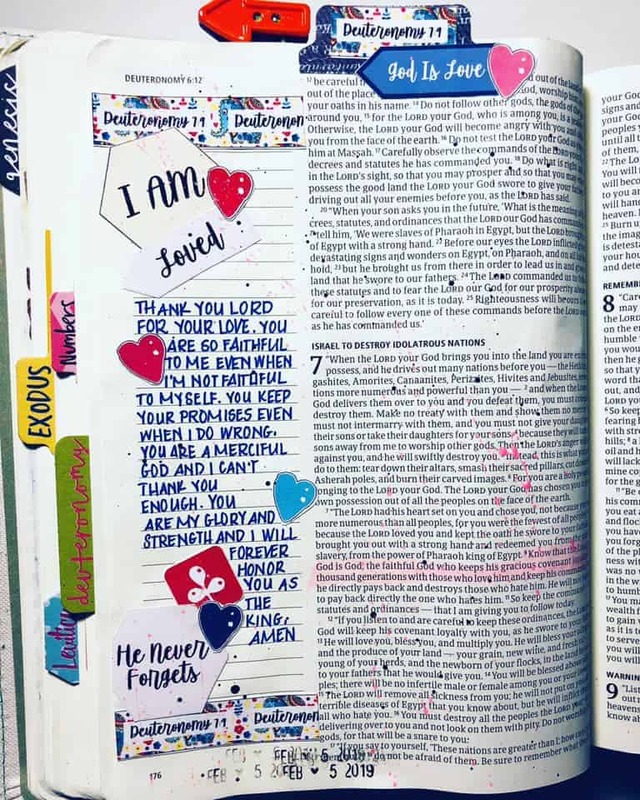 Bible Journaling for the Seasons – Isaiah 61:3 Joyce created this page for us. 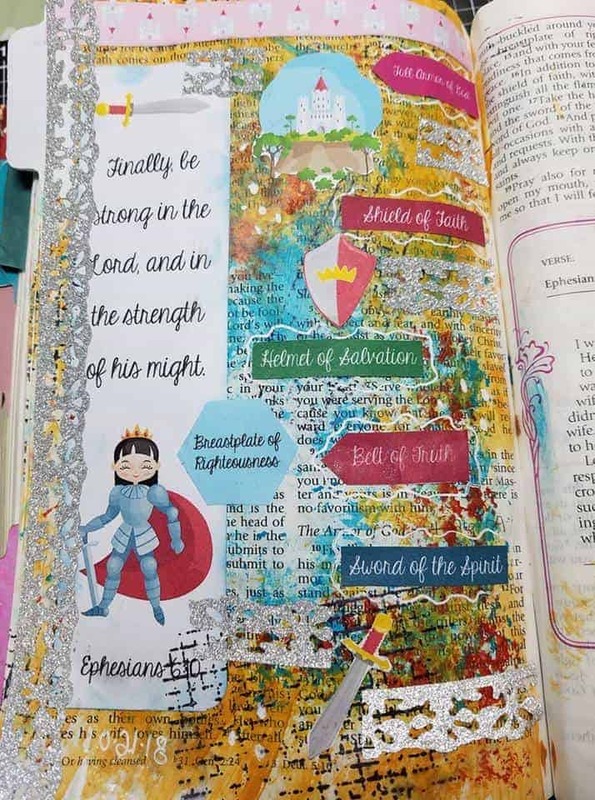 Bible Journaling for the Seasons – Ephesians 6:10 We love all the colors Justine included on this page. 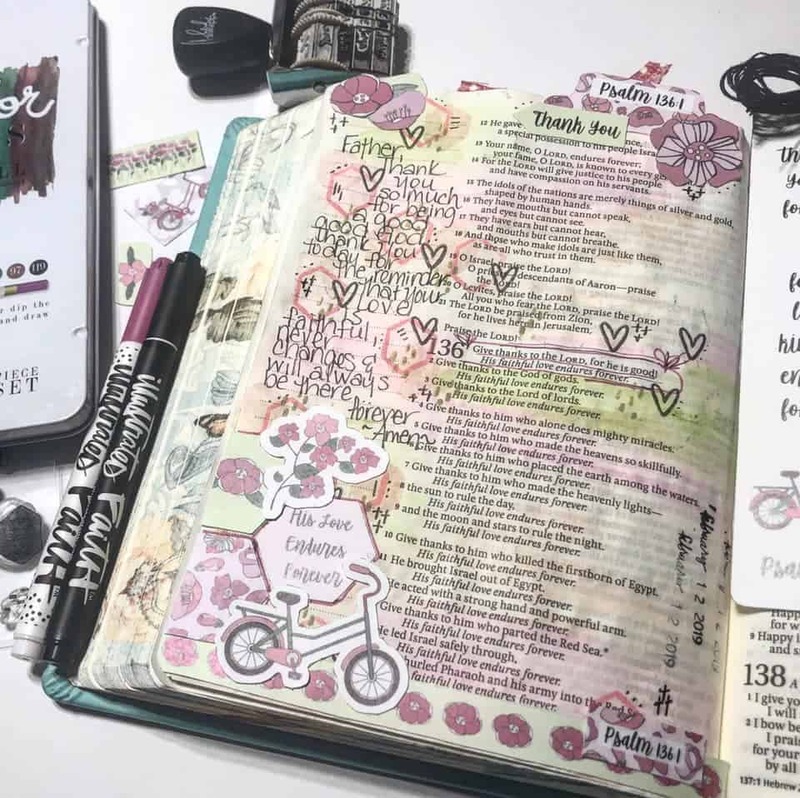 Bible Journaling for the Seasons – Matthew 26:39 Courtesy of Cathy from CFC for this post. 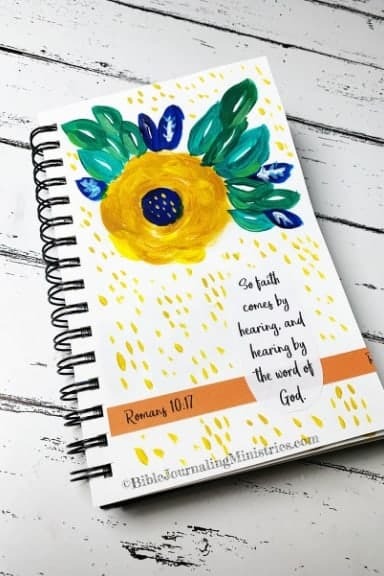 Bible Journaling for the Seasons – Jeremiah 1:5 A huge thanks to Joyce for this post. 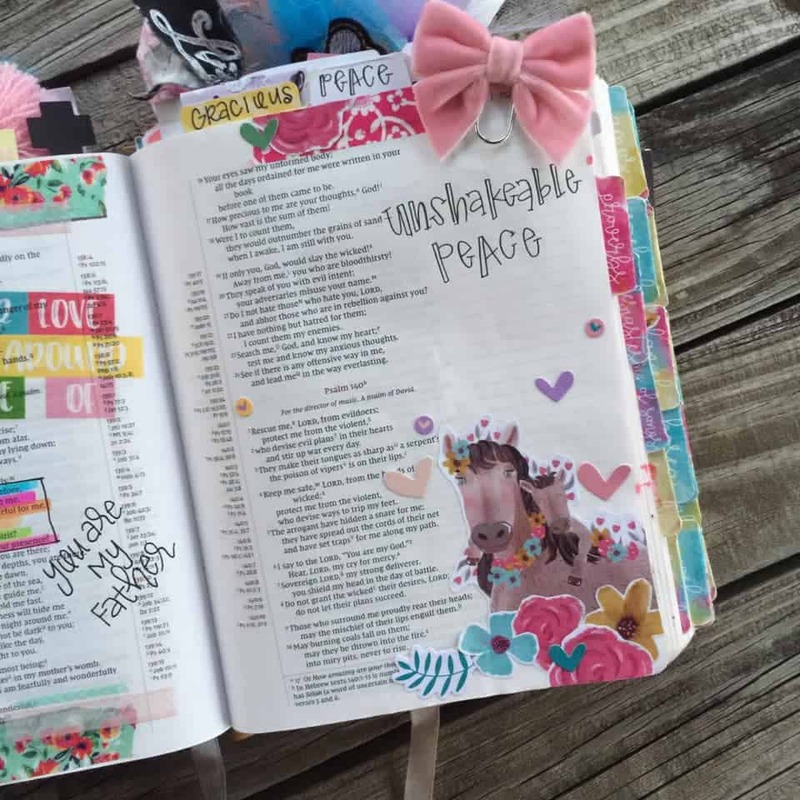 Bible Journaling for the Seasons – Isaiah 26:4 DeJaniera created this post for us! 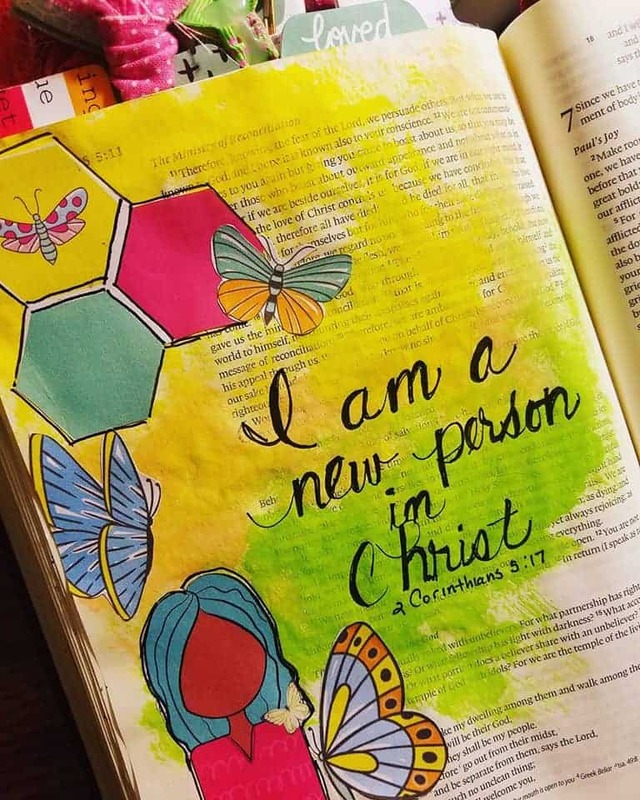 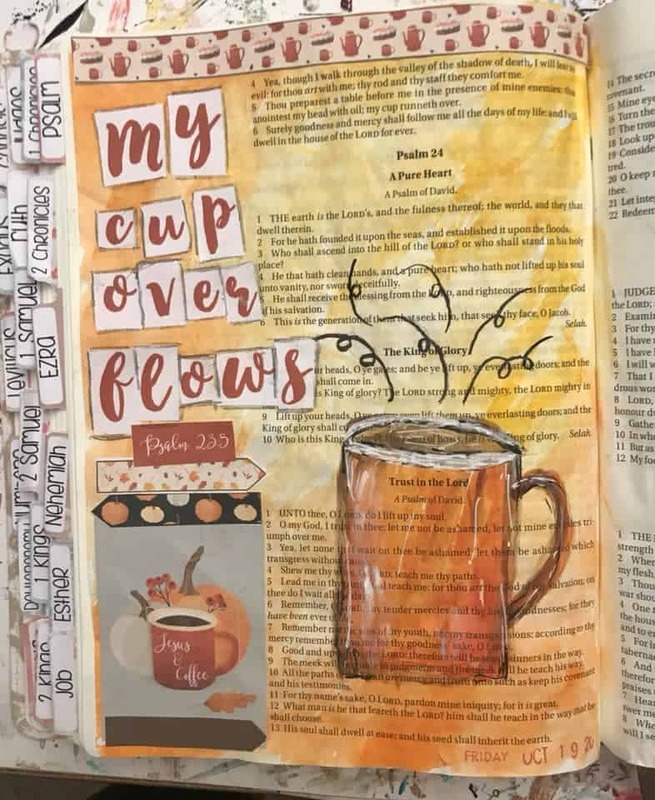 Bible Journaling for the Seasons – 2 Corinthians 5:17 We are digging these watercolor entries done by DeJaniera! 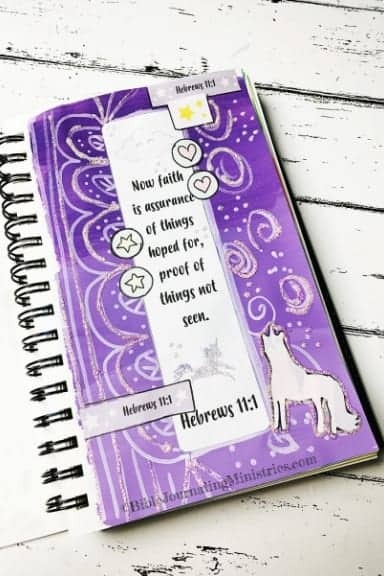 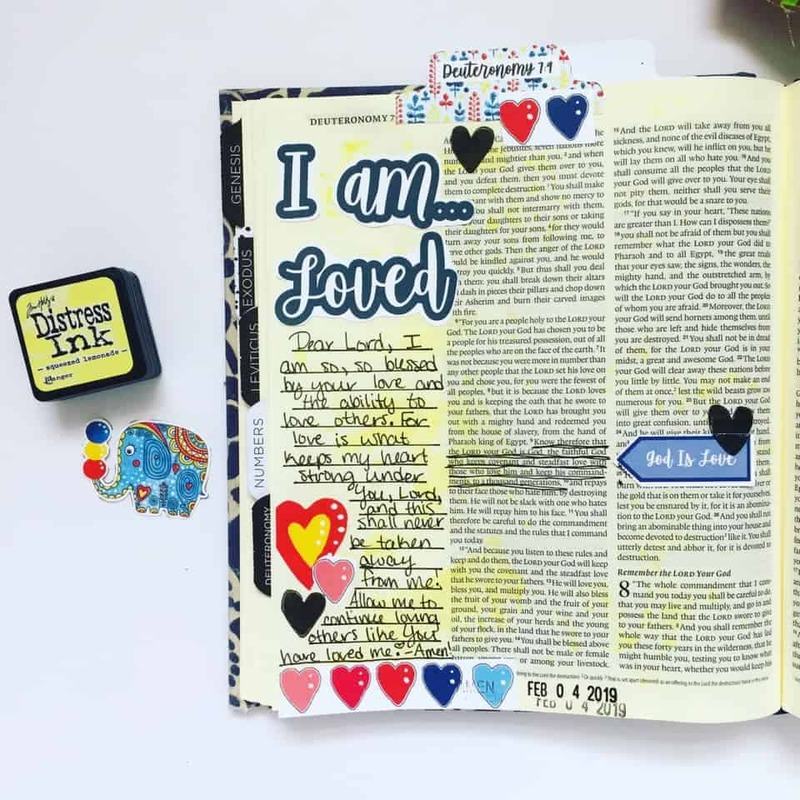 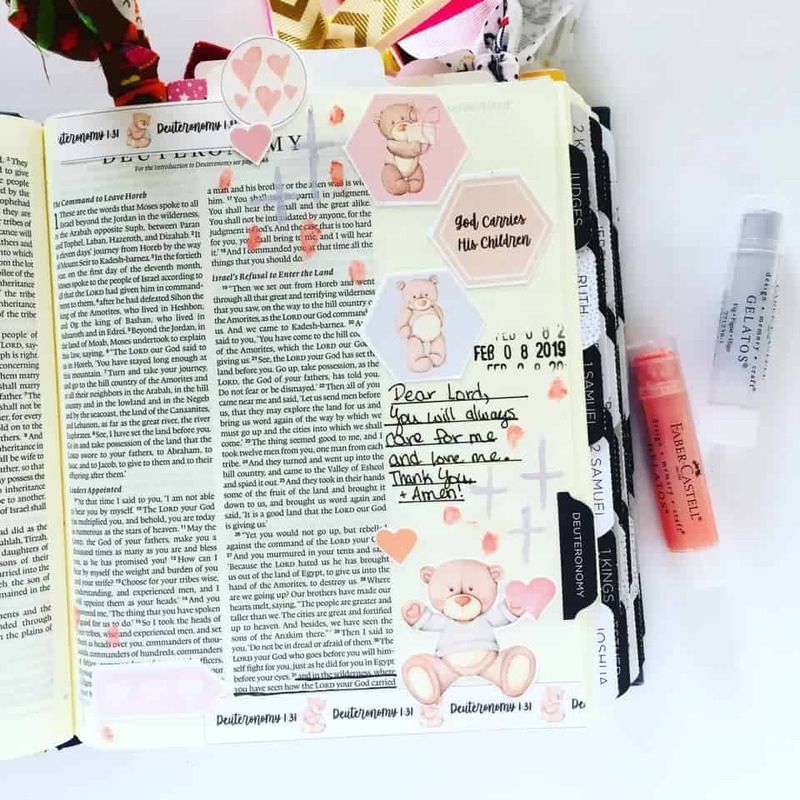 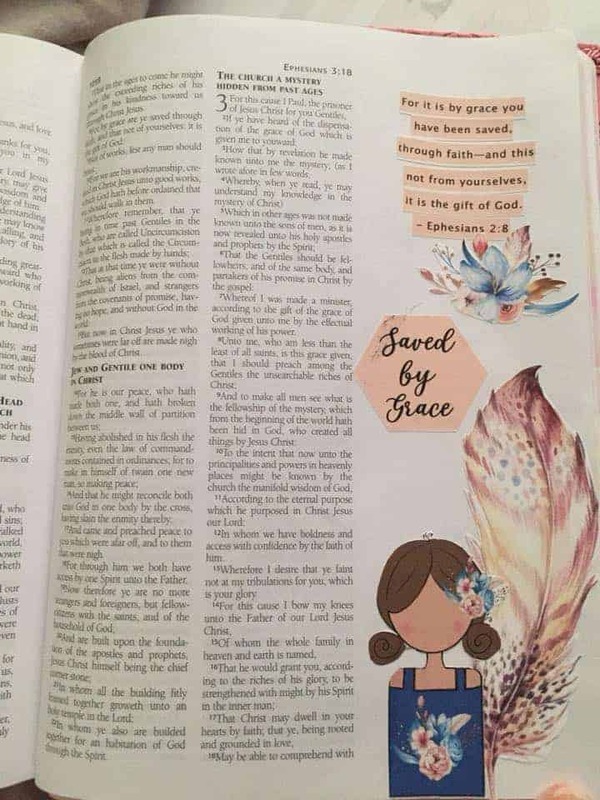 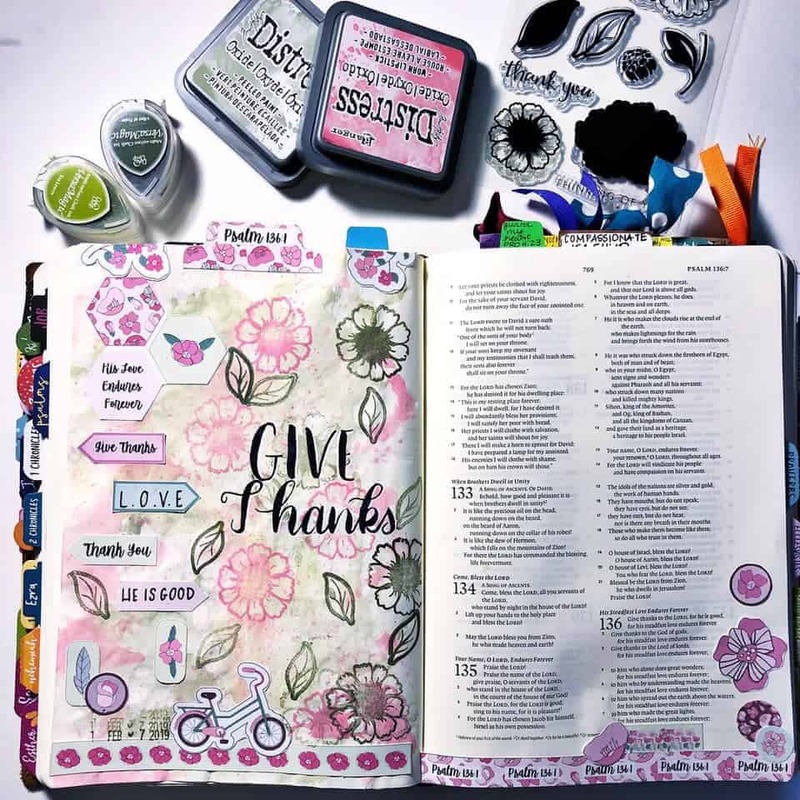 Bible Journaling for the Seasons – Ephesians 2:8 Rebecca created this adorable post, thank you so much! 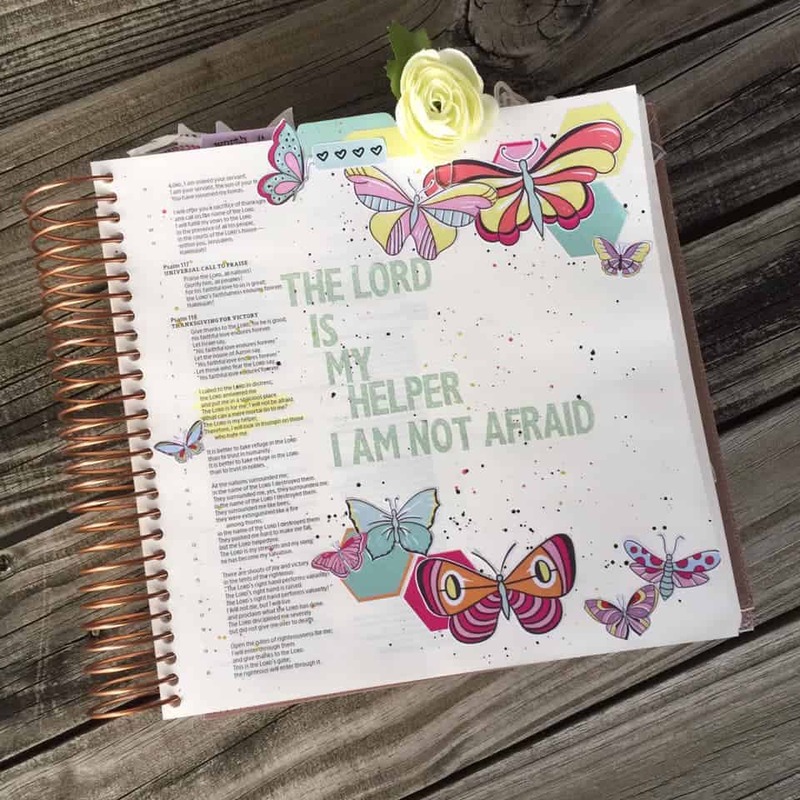 You prepare a table before me in the presence of my enemies you anoint my head with oil; my cup overflows. 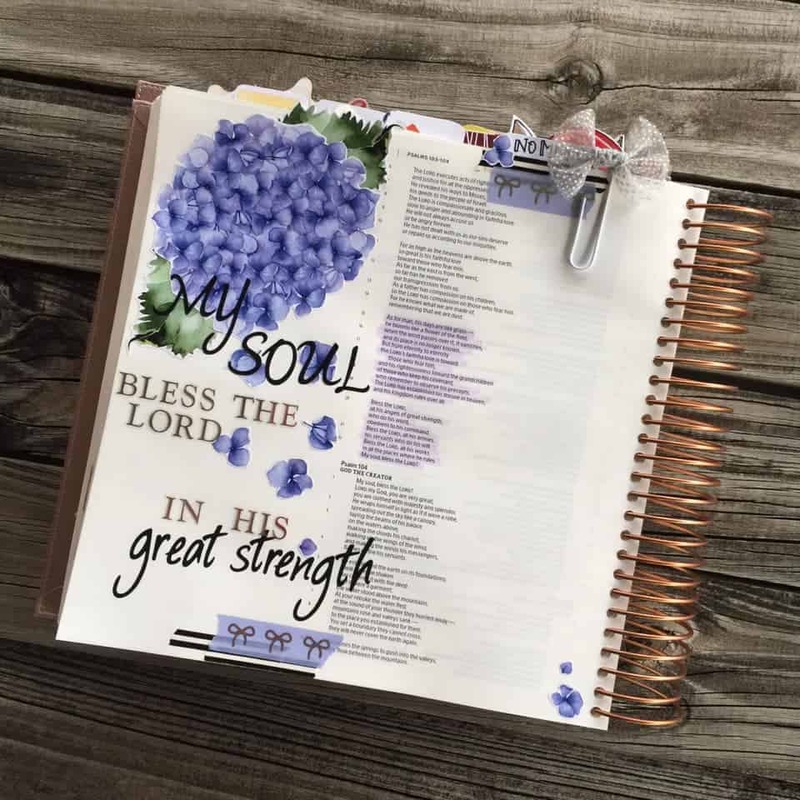 Bible Journaling for the Seasons – Psalm 23:5 A huge thanks to Lori for this page. 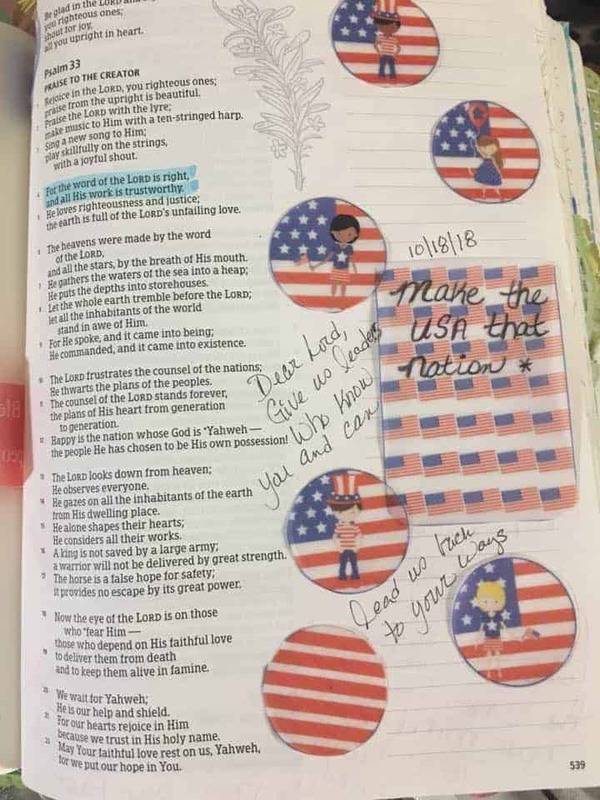 Bible Journaling for the Seasons – Psalm 33:4 We love this patriotic page done by Joyce!